Deadline reports the second half of Suits, season six, will premiere on USA Network, Wednesday, January 25, 2017 at 10:00pm ET/PT. Gabriel Macht, Rick Hoffman, Meghan Markle, Patrick J. Adams, and Carly Pope star. Don’t worry about it being cancelled too soon. USA already renewed Suits for a seventh season, back in August. The mid-season finale ended on quite a cliffhanger. 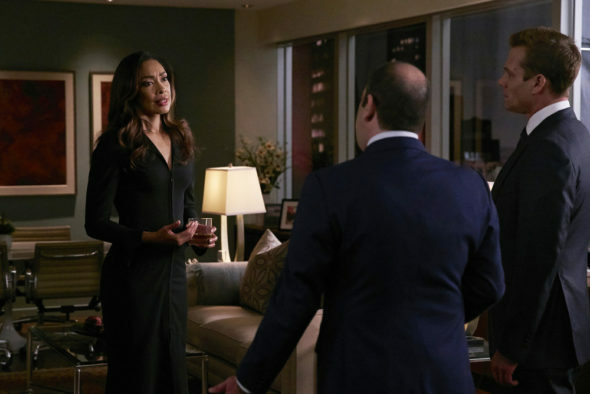 Harvey Specter (Macht) and Louis Litt (Hoffman) were left in charge of Pearson Specter Litt, after Jessica Pearson (Gina Torres) saved a death row inmate, then saved herself by quitting the law firm. 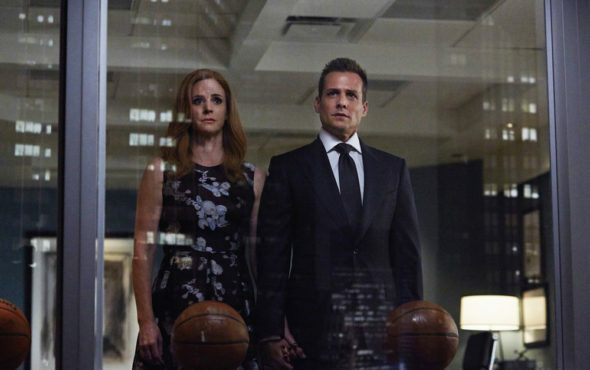 According to the report, the second half of Suits‘ sixth season picks up right after the events of the midseason finale. Harvey and Louis have to forget about their ambitions, set aside their differences, and get busy. In order to save the beleaguered firm in the wake of Jessica’s departure, they must work together. They will have to heed the advice of Donna Paulsen (Sarah Rafferty) and Rachel Zane (Markle) and stay focused on finding a way forward. What do you think? Are you a fan of the Suits TV series? Do you plan to watch the second half of season six on USA Network? More about: Suits, Suits: canceled or renewed? Suits: Cancelled or Renewed for Season Seven on USA?